Sushi is the first thing that comes to mind at the mention of Japanese cuisine, but Tokyo Sukiyaki-Tei represents a more traditional, homely style of Japanese food still relatively unknown in the west. We use high quality ingredients to give tradition a gourmet twist, and incorporate some modern ideas to appeal to the western palate. There are no kimono clad waitresses, but Tokyo Sukiyaki-Tei is probably the closest you can get to Japanese tradition in Chelsea. 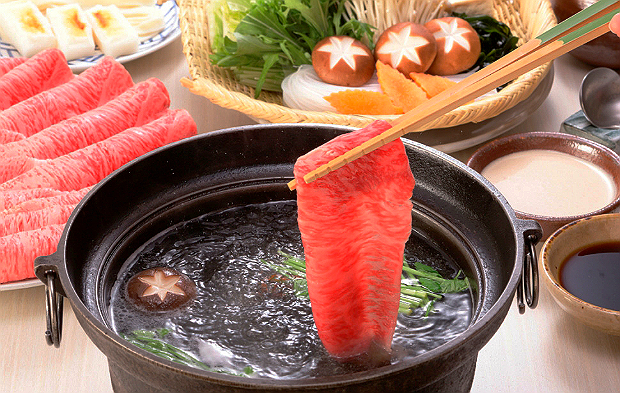 In Japan, sharing most definitely is caring, and this is reflected in our main attractions: Sukiyaki and Shabu Shabu. While the idea of cooking your own food may seem outlandish and pointless, in Japan it is seen as a sign of respect and trust to eat from the same pot, plus there’s no denying the fun factor. In fact the name “Shabu Shabu” comes from the Japanese onomatopoeia for the action of stirring the meat in a cooking pot! A hot pot can be a relaxing experience or turn into a warzone as everyone clamours for the meat. Either way, it’s an experience. We are open all day every day, so whether you want to enjoy Japanese food or browse our range of imported goods, come along, we have something for everyone. Sushi is the first thing that comes to mind at the mention of Japanese cuisine, but Tokyo Sukiyaki-Tei represents a more traditional, homely style of Japanese food still relatively unknown in the west. We use high quality ingredients to give tradition a gourmet twist.